Here are some facts about Edwin Hubble. Edwin Hubble was an American astronomer who devised several theories about the universe. He is regarded as one of the most important astronomers of the 20th century. Hubble was born in Missouri in 1889 and at school was good at sports and running. He later attended the University of Chicago and studied astronomy and mathematics. Hubble fought in World War I in the US Army. Before war broke out, he coached basketball at school, broke the school’s high jump record and taught Spanish and physics. He was given his first telescope at age 8 and became interested in astronomy. In 1919 he took a job at the Mount Wilson observatory in California, and worked there for the rest of his life. Hubble helped to prove that other galaxies existed in addition to the Milky Way. He also determined that the universe is enormous and is expanding. Hubble also helped to prove that all galaxies must have come from a single central point. This idea helped to make the so-called Big Bang Theory more popular, explaining the universe’s creation. 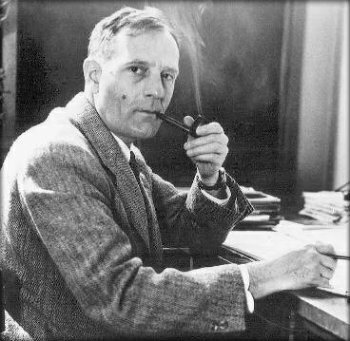 Edwin Hubble helped to devise a system for classifying galaxies, which became known as the Hubble system. The galaxies were sorted based on their appearance and patterns. The Hubble Space Telescope was named after Edwin Hubble in 1990. The powerful telescope has helped to measure distances to stars more accurately, and to compute how many so-called black holes might exist. Edwin Hubble died in 1953 following a heart attack a few years earlier. A funeral was never held for him and his wife never told anyone where he was buried. Hubble also has an asteroid and a crater on the moon named after him. He featured on a 2008 US postage stamp and has a stretch of road named for him in his home state of Missouri.